In today’s world, so many of our consumer interactions happen remotely. As banking, retail and other experiences have moved into the digital realm, their support functions have gradually transitioned out of the physical store or branch, and into the contact center. These changes mean that verbal interactions are playing a more important role in shaping consumer’s relationships with brands, and so we need to understand how verbal interactions influence the customer experience. When you interact with someone face-to-face, 80% of the communication is non-verbal, but what happens when you take away the in-person aspect? In this case, an employee’s voice becomes the “face” of the brand. Organizations need to craft each customer touchpoint for maximum impact, and if you only have a handful of human interactions along the journey – as is increasingly the case – they had better count. Within this context, verbal interactions are so much more than just a means to gather or relay information. They are a medium for connecting with consumers, setting the tone of the relationship, and differentiating the brand. In late 2017, I had the opportunity to interview Marianthi Dickie, the founder of Voiceworks. 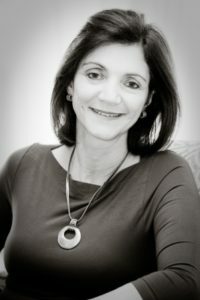 Marianthi has a Bachelor of Arts degree in Speech and Drama and Psychology from Rhodes University and an LTCL Speech & Drama Teacher’s Diploma from Trinity College London. She is passionate about changing the way we sound, by teaching people to use their most valuable communication tool… their voice. She believes in finding new ways to communicate through her dealings with a wide range of people and her extensive travel. While Marianthi is not a traditional customer experience specialist, her work contributes to an organization’s ability to deliver on brand promise, and as business leaders heighten their focus on customer experience, she has helped many brands enable their teams to improve the verbal communication aspect of the customer journey. Her areas of expertise encompass the teaching of voice techniques, presentation and communication skills to ensure exceptional outcomes in a professional and corporate environment. Decoding the Customer is a customer experience podcast created and produced by Julia Ahlfeldt, CCXP. Julia is an author, speaker and business advisor. She is one of Southern Africa’s foremost experts in Customer Experience Management. For more information about Julia’s services, click here. To hear other episodes of Decoding the Customer, click here.